Tonight! ALL NEW Love & Hip Hop Miami at 9PM on VH1 #LHHMiami #LHHMIA ~ Phresh Hott New! 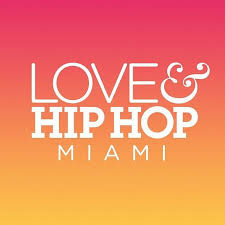 On today episode of Love and Hip Hop Miami, “Forbidden Fruit” Pleasure P and Shay try to pick up the pieces of their relationship. Trick's estranged wife, Joy, comes looking for closure. Gunplay reconnects with an old flame. Veronica Vega and Steph Lecor seek out Young Hollywood to apologize to Amara. Trick Daddy Spots His Wife At The Club…… Look below as Trick Daddy sees his wife, after 4 years, at a club. See what's next for the two, Monday at 9/8c only on VH1!